PJ Morton is blessing our holiday season with live music, courtesy of yours truly. 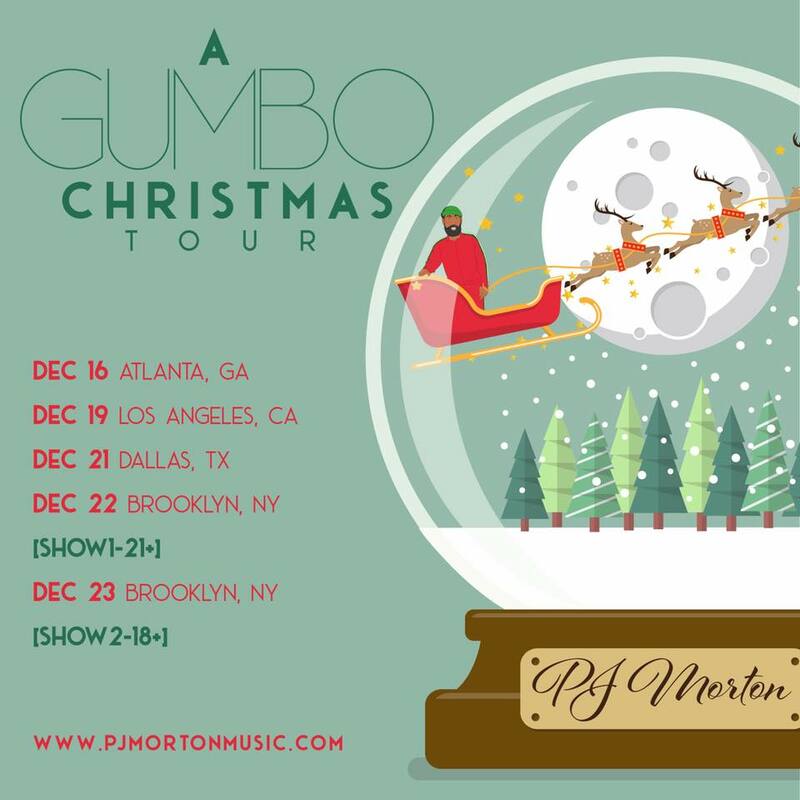 Okayplayer will be livestreaming PJ Morton’s A Gumbo Christmas Tour as it makes a stop at Brooklyn Bowl this Sunday, December 23rd. Fans will be able to watch Morton croon live on our Facebook and YouTube page. The tour follows the release of the Grammy-nominated musician’s new album, Christmas with PJ Morton, a soul staple featuring six updated covers on classics and two original songs. Check out Morton’s December tour dates with special Guest Grace Weber below, and stay tuned for his live set from Brooklyn Bowl.